Located on Yas Marina, IRIS with its trendy and chilled out vibe has been busy dusting off the sand from the outdoor terrace furnishings as the event season starts to get a whole lot more exciting. On the back of their popular Ladies night and brilliant new house band, Nya & The Groovebuster, IRIS are back doing what they do best, and delivering another standout International guest DJ. 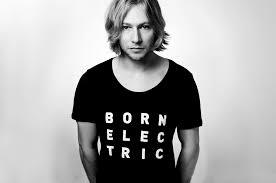 Widely appreciated as being one of the most technically gifted DJs around, James Zabiela's turntable skills and extensive use of effects in his live shows have cemented him into the hearts of electronic music lovers around the world. The tech-house turntablist, famed for his fusion of house and breakbeat sounds, James Zabiela is expected to be THE live performance of the summer. Enjoy Happy Hour 6pm - 8pm every Thursday at IRIS Yas Island. Iris Yas Islandis open Monday to Saturday 6pm to 3am.